Having a creative side hustle during the summer can allow you to create some much-needed income and give you experience as a business owner. Today we are going to continue our series about side hustles and part-time jobs that college students can benefit from. If you haven’t seen Monday’s post yet, check it out using the button below. Once you finish checking out Monday’s post, keep reading for more side hustle ideas. Do you love everything handmade? Consider opening up an Etsy shop (or some other site like Shopify.) Creating a homemade boutique will help you generate some much-needed side hustle income as a college student. Running your shop can be a bit daunting once orders pick up, but you can make significant money on Etsy which helps offset all the hours you might be spending creating. 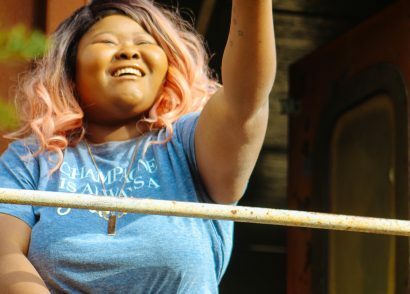 If you don’t want to go the handmade selling route, you can use a drop shipper like Printful, Printed Mint, or Teespring. With these companies, you put your designs on their items, bring customers to your website, and they handle all the rest! It’s a great way to sell things without creating an inventory that takes over your house and destroys your relationship with sleep. Not gonna lie, my time as a telemarketer was hard, but as far as jobs are concerned, it’s not the worst job in the world. Telemarketers spend their days scrolling down a long call list, reading scripts, and entering data about the calls they make. It might be an exhausting day if you are super introverted, but it’s usually an office job with decent enough pay. Do you want to get some acting experience and you don’t mind being cast as Woman #5? Sites like Backstage allow you to search for paid casting gigs in big cities like New York City and Chicago. Some of these roles pay, and you can potentially find your face in some pretty neat shows. Not all parts are for extras on Backstage either; you may even see yourself playing a lead role if your acting chops are up to it! The stock market is never a completely stable investment, but depending on when you buy and when you sell, it can be a lucrative one. You can invest in the stock market using simple websites like Acorns, or you can get a bit more in-depth with the process of investing. Either way, there is money to be made if you are great at investing. Do you have a car and some time to kill? Consider becoming a driver for Uber or Lyft. This is extremely helpful if you live in a bigger city with airports, a lot of bars, etc. The summer is the perfect time to start using these services to make some extra cash. Often these services even have sign-on bonuses which allow you to make some extra money just for being a driver. If you want to be a driver who is a little more involved, consider driving for a delivery service like Postmates, Instacart, or Uber Eats. These services are like Uber/Lyft, but they require you to pick up food and other miscellaneous items for delivery to random people across your city. The positive thing, though, is that you don’t have to have random people in your car, just random food. Working trade shows can be exhausting and businesses often need help to man their booths. If you have any area trade shows, see if they need some helping hands to run the show (or if they know of specific businesses who do.) Likely the business owners will be grateful for your help during such a busy time when they have a million things to keep their eyes on. With the onslaught of self-publishing, writing and publishing an ebook has become easier than ever. You don’t need a publisher on your side anymore, all you need is sheer will and a lot of late nights drinking coffee and writing. You may not be able to finish your ebook over the course of a few months, but you can get a nice running start by putting pen to paper this summer. Do you have amazing photography skills? It’s time that you put those to the test and start a photography side hustle. You can book all sorts of campus events, weddings, senior sessions, lifestyle shoots, and more. There are so many possibilities, and there is no set fee you have to charge so you can charge what feels comfortable for you. The great thing about photography? You can pile a bunch of shoots back-to-back and sell some mini-sessions, or you can do one session a week and still make a decent amount of money. I adore stock photography. I am taking more of my photos in-house lately on my lifestyle shoots, but for most of my blog posts that are academic or long (like this one), I still use stock photography. Stock photography is a way to make your photos stretch in worth and value. For example, as a photographer, you may be shooting someone for a few hours. After the shoot is over the people you film and their families are the only people who care about paying you for the images and purchasing the rights to them. With stock photography, you can sell the same photos to a large group of people to use on their websites, social media, etc. So, over time, each photo shoot that you create as a stock photographer could potentially be worth more than if you had one client in mind when producing a traditional lifestyle shoot. If you don’t want to be behind the camera, you can also apply for jobs to be in front of the camera. Through finding modeling gigs for photographers, brands, and fashion shows you can pose and get paid to do it. Photographers often need models to build up their portfolio and they may be willing to pay you for your time. Brands often need models to wear their clothes for photo shoots. Your favorite brands may have open model calls often, so be sure to keep up with them. Fashion shows potentially need people to model clothes on stage. If you have ever dreamed of being on stage and rocking the catwalk like Tyra Banks, it’s time to find some fashion show modeling gigs. It may seem like everyone and their momma has a podcast these days, but creating a podcast can be a great side hustle. Pick a topic that you are interested in and get to work on how you can create a podcast out of it. Podcasts get funds in various ways through sponsorships, Patreon, etc. You can also fund your podcast by using affiliate links that you showcase in your podcast and in your show notes. It may take you a while to get to podcast payment status, but the sooner you start, the better! All the times that I have moved, I was flustered by the entire process from start to finish. Packing, unpacking, and everything in between. This is the perfect time to consider starting your moving service as people are moving out of dorms, apartments, and houses or into new ones as the summer is approaching. This summer you will likely have a lot of opportunities to help people around you move, so capitalize on the fact that people move so much during this time of year! Do you love shopping and eating? There is a slight chance that you can get paid for it if you pick the right programs! The Penny Hoarder wrote a nice, little article about finding mystery shopping jobs that aren’t complete scams, so if you are interested in shopping for money, they have all the details listed for you. Baked goods are the best goods. Are you amazing at creating cakes, brownies, and other desserts? Well, you should consider creating those for others. You may want to take corporate orders, ask your neighbors, or even ask members of your church/another local group. A lot of people enjoy sweets, so you are sure to find a good customer base. Not everyone is obsessed with cleaning. 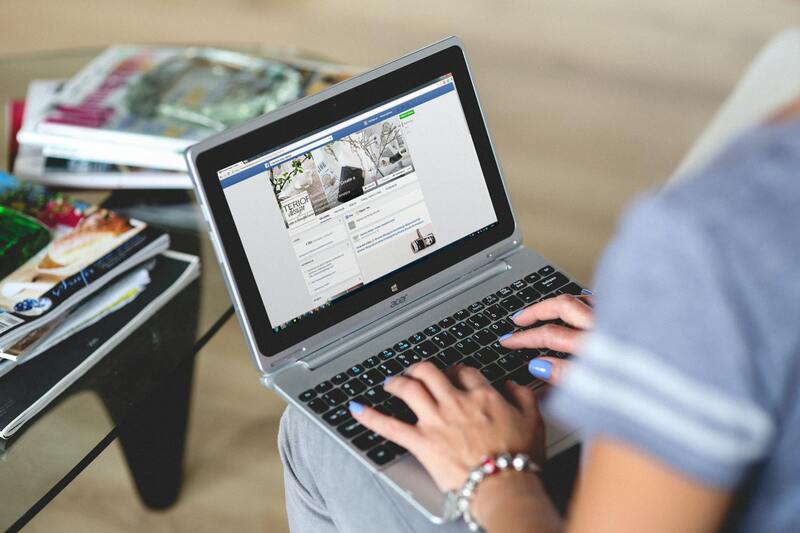 Busy entrepreneurs, stay-at-home moms who need a little extra help, and so many other types of people could be your ideal customers. If you love to play some music and clean up for a while, you will love creating a cleaning service as your side hustle. People HATE laundry. I have never met a person who truly enjoys doing laundry, but I am confident those people exist. If you like washing, drying, folding, and hanging up a lot of clothes, consider starting a small laundry service for people in your neighborhood. Agree to go to your neighbor’s house (or a laundromat) and do a couple of loads of laundry for a fee. You are sure to get some takers on this service. Being a cashier is a great summer job for any college student. You are guaranteed to get at least minimum wage, and more than likely you will have a part-time position so you will have enough hours to make some money and enough free time to spend at least a little time away from home. It’s the best of both worlds! This is not something that you constantly do or make a complete side hustle out of. But if you are healthy enough for it, it can become an excellent way to make a bit of extra cash. I don’t know about you, but when I was super broke in college, a few sell your eggs ads looked quite appealing (but I never followed through on them.) You can make quite a bit of money, especially with egg donation, so it’s something to consider if you are in the right place to do it. This is another thing that you can’t do consistently, but if you can find some research studies, you may want to consider taking part in them. Some research studies can pay a lot of money if they take place over an extended period, require overnight visits, or pose health risks. But, they can cause harm to you in some ways. So, you should only take part in a research study if you understand the full gravity of the situation. Never just sign the dotted line without understanding all the ramifications of a study you participate in. Do you love a brand? See if they have a brand ambassador program that you can join starting in the summer. Brand ambassador positions allow you to make money promoting a brand that you already love! You get sales experience and if you do well in a brand ambassador position, it may lead to bigger and better positions in the company. Do you have a fantastic sense of style and some time to shop for other people? Those who aren’t as fashionably inclined may want to hire you as their personal stylist or shopper so you can purchase clothes for them. Some companies like Rue La La, Nordstrom and Dillard’s also employee personal shoppers in-store and online. If you can crunch numbers, you can make some pretty decent cash as a bookkeeper. Being able to balance a company’s books is a great skill to have. People hate prioritizing and keeping their stuff together for tax purposes, so share your knowledge to help businesses keep their affairs in order. Graphic design is a great skill to have. You can sell your services as a graphic designer to shop owners, campus groups, and even use your skills to design stuff that you can sell. The possibilities are endless if you know how to use your graphic design skills. There is a significant demand for healthy meals these days. People are so busy that they find it hard to prep their meals and they are willing to pay the price for healthy meals delivered straight to their homes. If you are excellent at meal prep, you could enlist a few clients in your area to deliver great meals to their door. We have officially concluded this series all about side hustles. 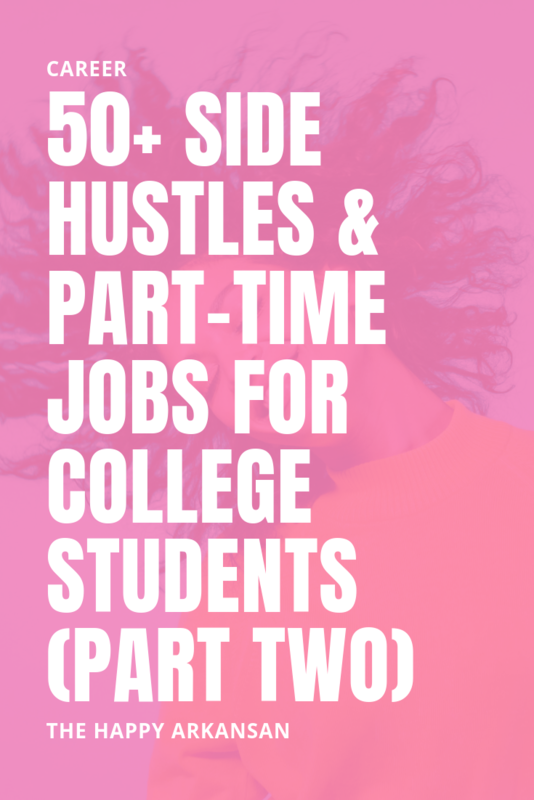 In the last few days, we have covered 50+ side hustles and part-time jobs that are sure to make any college student some extra cash. I hope that you all loved these ideas and that you got a new money-making idea from these articles. What Side Hustle Do you Intend To Go After This Summer?